Winter comes every year, and there is no avoiding it. For fishermen that means a few different things. First, the summer heat passes and colder days make some fish species more active before freezing temperatures arrive. Autumn can be an ideal time for going out in the water because of that. Furthermore, the time comes to prepare your equipment for colder weather. You don't just have to get your boat ready; you need to take care of your electronics like fish finders. 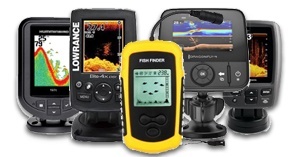 No one wants to risk damaging a pricey device like a fish finder. Winter months can be devastating to delicate hardware and screens, especially in colder climates. Even if you are an owner of a budget or entry-level device, you should still protect it. This tutorial could be short because all fish finders come with a manual, but a lot of people lose track of theirs. That's why we're going to help you out and see how you can prepare yours for the winter. 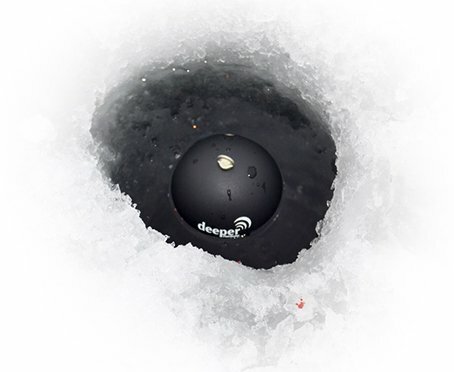 Most fish finders are weather resistant, but the JIS or IPX protection can vary with each device. Some can only survive splashes of water from time to time, while others can work submerged for extended periods of time. Manufacturers take things like drizzles, fog, and storms into consideration during the design process. The trouble is that those conditions last for a few hours or minutes. Your electronics aren't exposed for extended periods of time because you wipe them off or cover them. On the other hand, during winter you might park your boat on a trailer and leave it exposed to the elements. A loose cover might not protect all that it's intended to. Moist and rainy days can follow cold and dry ones. All this can hurt your electronics. You probably remember at least one occasion when your fish finder took a little longer to process information because of weather conditions outside. That can happen during fishing season when you're using and maintaining your device often. Lower temperature or moisture in the air can do that. Now imagine harsher conditions on a daily basis, but without you there to keep an eye out for everything. You can see where this can go. That's why it's important to make sure you are storing your electronics away in a safe way. No matter what weather rating they have. Not everyone that owns a kayak or boat leaves it exposed during winter. Some people take great care of their equipment. Some benefit from heated garages or pay for separate storage facilities. That way they can make sure everything stays in top working condition. While most people already know a lot about winter maintenance, some might not be aware of everything. That's why we are pointing out the need to remove and store your electronic devices with more care. If possible always take your fish finder off when not using it for extended periods of time during colder months. In fact, everything removable that's powered by batteries that should be in storage. Sometimes even trolling motors of a smaller size. If you cannot remove things that run on batteries, at least take the batteries out. Portable devices that have protective cases are the first things to take off and put away indoors. For those of you that don't have the time to remove various units from their mounts, there's a solution. Some transducers can be hard to fix in place and adjust. If you don't want to go through that again, then bring the protection to these units. First of all, check to make sure they aren't wet or damp. Wipe off all moisture. Clean any dirt or gunk that has accumulated over time. After that, you can try to cover these electronics with some sort of thermal insulation. One more thing to consider is protecting your devices from direct sunlight. The sun can damage displays and screens from prolonged exposure. Snap-on covers that come with electronics are made to protect from direct sunlight. If you have electronics in closed spaces that aren't removable, you can try to install a dehumidifier. That way you can control condensation. This also helps control corrosion when it comes to wiring and various connectors. If you can't use a dehumidifier, you can buy packs with silica gel. These come in a variety of sizes so that you can put them even into tiny spaces. Besides that, they are inexpensive. Eliminating moisture is impossible, but you can reduce it. That should be your priority. When you want to turn on devices that haven't seen use in a long time, make sure you give them a chance to warm up first. Otherwise, it can lead to condensation and malfunctioning which you've been trying to prevent. Check to see that the batteries are charged and make a visual inspection of everything before pressing the power button. We all know how hard it can be choosing the right fishing equipment and finding the money to pay for it. Even if you are not a professional fisherman, these items most likely mean the world to you. They make catching fish easier and get you out of the house. They are an investment that you need to protect during winter or when not in use. It might seem like a lot of work to get everything ready for winter, but you'll be happy that you went through with it. It is a wise investment of time to go through everything at the end of fall. That way you save yourself the frustration of using faulty devices when you start to fish again.